I thought it was an interesting article because the fitness industry are beginning to re-evaluate how muscles work. 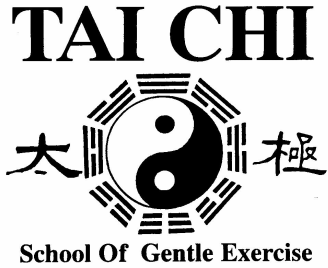 Have a read, but for me it pretty much described a lot of what happens in Tai Chi in regard to how we view muscle usage. When the ageing meniscus in your knee deteriorates, cracks and splits, surgery can't fix it. Despite clear evidence that surgery does not help a common middle-aged knee complaint, men continue to line up for the operation. These men are suffering from a tear in the rubbery disc that cushions their knee joint and they've been told it can be fixed with simple keyhole surgery. Known as arthroscopy, the surgery is quick and so minimally invasive it doesn't even require stitches. The small holes are taped over and the process has a very low rate of side effects. But every good study of arthroscopy for a torn meniscus since 2002 has shown it does not improve knee pain or function in people with wear and tear in the joint. At the one end is the young man who has a bad sports injury which caused a large tear. The torn part of his meniscus bends back and locks the knee. Everyone agrees this can be successfully relieved with arthroscopy. At the other end is a man of 50 who has a 50-year-old meniscus in his knee. Like other body parts, it has deteriorated with age and particularly like all cartilage, it is gradually drying out with time. As it dries, it remains in place but may crack and split. This happens quietly, usually without any traumatic event and often without symptoms. Although the older man has a degenerative chronic knee condition, it may or may not cause problems. It may cause intense pain for a period, then subside for months and then flare up again. Harris says the pain may also be entirely unrelated to the damaged meniscus. "Many surgeons don't understand that this condition does not benefit from surgery. They see someone with knee pain and a bit of arthritis, they do an MRI which shows an un-displaced meniscus with degenerative cracks and they attribute the pain to it and do arthroscopy." But the rates of arthroscopy for a torn meniscus vary dramatically across Australia. In Perth and Adelaide, people over 55 have seven times the rate of knee arthroscopy than Sydneysiders. Practice variation often occurs where evidence is uncertain. "In this case there is little uncertainty so it comes down to patient or surgeon preference," says Harris. "Patients in this situation will usually do what the surgeon recommends, so that leaves surgeon preference as the main reason for the variation." Although surgical rates are sometimes driven by financial gain, Harris doesn't believe this is the case here, because it is happening in clusters. If surgeons were driven by greed, there would be less variation in rates across the country. Rather, it is a question of interpretation of the evidence with many surgeons believing it works. "They may not understand the science of how a randomised controlled trial is actually a better level of evidence than their own observation." They don't see the pattern of fluctuating pain, but see a patient in bad pain. "As doctors, they feel compelled to do something – they can't send him away without doing something." So they do an arthroscopy which is quick, safe and easy. "After some time the pain may be better and they attribute the improvement to arthroscopy. It is bad science," says Harris. Surgeons are influenced by their colleagues and over time pockets of practice develop and a culture develops that supports procedures like this. When he released his book this year called Surgery, The Ultimate Placebo (NewSouth), Harris said in a Fairfax Media interview that relying on tradition and unsupported perception is not good enough. "I know this because I have learned it the hard way. When I started training and then practising as a surgeon, decision-making was relatively easy; paradoxically, the more you know, the harder it gets." Simple painkillers So what does he suggest when a 50-year-old man, who tends to be a little heavy and a little sedentary, consults him for a sore knee with an un-displaced degenerate, split meniscus? "Many are worried because they have read the MRI report and are afraid even to walk on their knee. I just issue reassurance, tell them it is very common, that the pain ebbs and flows and they should take simple painkillers when it hurts. They can continue to walk the dog or play golf and are unlikely to need surgery for a long time, if ever. "I tell them they can do whatever they want, they can take it easy or push through the pain. The evidence is so poor either way, they should try and live a normal life and do whatever makes them happy." "If they are overweight I tell them to lose some, but in reality the proportion that actually loses weight is negligible." Harris also warns his patients against other treatments such as stem cells and platelet-rich plasma infusions into the knee. "It's all rubbish. It is huge business but the studies show no significant benefit." And what about the artificial meniscus made of medical grade plastic available in Europe? Doesn't really work either, he says "New treatments need to be subjected to the same sham surgery studies that have been done for arthroscopy."